Updates, acreage and oversized garage.. need I say more? 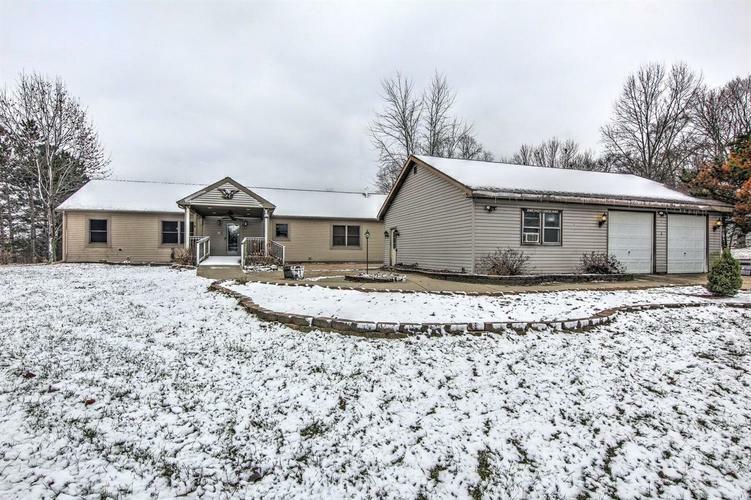 This 3 Bed 2 Bath home sits back on 1.75 acres with an oversized 2 garage that has a heated/cooled room inside and plenty of storage space! Inside you'll find a spacious layout with 2 family rooms, a fire place and an big updated kitchen that is truly the heart of the home open to both family rooms and dining room. Master suite has a large walk-in closet and shower. Custom built front and back decks give you plenty of room for outdoor entertainment with a HOT TUB and gas grill! This home was just built within the last 6 years with 2x6 walls, extra installation, custom kitchen features and many more custom upgrades! The well is just under 2 years old too, all this house is missing is YOU! Schedule your showing today! Directions:from RT2, head south on 55 South. turn east on E 1200 N, property is on the right side of road. Listing provided courtesy of Langen Realty, Inc..